Based in western Connecticut, Catalina Shortwave spends a lot of time in the New England woods, and it shows in their music’s refreshingly organic tone. 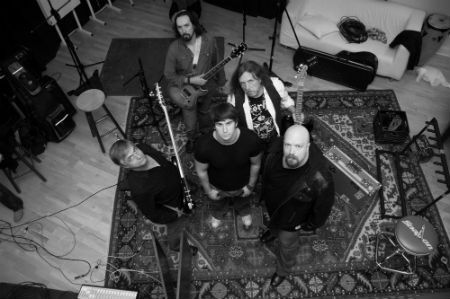 With their new album “Radio Voodoo – Songs From the Dark End of the Soul,” you get the idea right away with the opening jam, “Your Old Letters.” This is just good old fashioned, homegrown rock n’ roll. The best way to describe their sound is that it would not seem out of place on the soundtrack to any mid to late 80s horror movie(think “The Wraith” with Charlie Sheen.) That is of course, a good thing. Connecticut and New England bands tend to trend toward indie or hipster aesthetic. 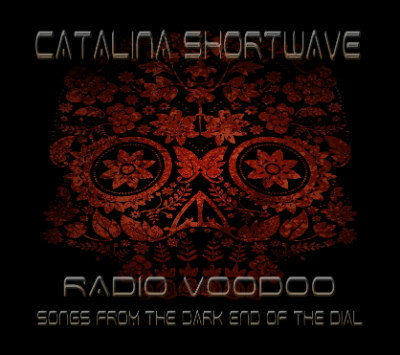 Catalina Shortwave give off more of a veteran, musician vibe. The vocals stand out in particular. The singer, David Rizzo, can really sing. I’m talking Iron Maiden quality here singing here. You won’t find a bunch of autotune or pitch correction on these recordings. The guitars have the perfect amount of distortion and have achieved that tube-warmth tone every audiophile is on a quixotic quest for. My favorite track on the album is Darkstar, an action packed track which perfectly encapsulates this style of music. His background in musical theater and shows is evident in his songs, which are an eclectic mix of Broadway, World Music, Jazz, and Adult Contemporary pop. 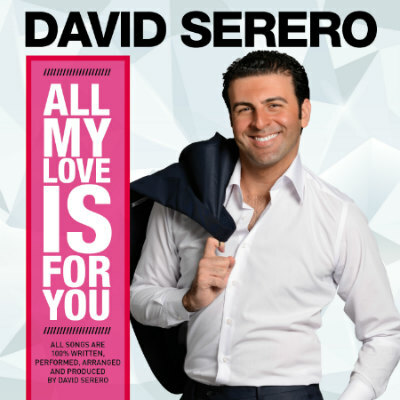 You can almost feel the stage presence through the music, with Serero’s larger than life vocals at the helm. It all has kind of Tom Jones quality to it. Even reminiscent of big band styled Sinatra(with a slight French accent.) In fact, I could easily picture Serero being a resident performer and one of the popular hotel casinos in Vegas. Considering he has already performed in more than 800 concerts and venues around the world, it may have already happened. The songs are romantic and all about love, but even the “unrequited” ones don’t come across as overly melancholy or depressing. My favorite track on the album is the title track, “All My Love is For You,” as it’s a little more epic and up tempo than some of the slower, more brooding songs. Serero draws from a wealth of experience and manages to create an adult contemporary, pop rock album that shines. A dedicated performer, I have no doubt that his career will continue to grow. What if you took 90′s style pop punk vocals and attitude and combined them with modern EDM grooves? That’s kind of the vibe I get when listening to Belle Vex’s latest album, “15 Minutes of Fame.” His singing takes on a rebellious tone and the cadence is reminiscent of punk genres. That’s somewhat unique for EDM, which is more known for abstract, and vague “niceness.” Despite the attitude the pace of the music is energetic and upbeat. The production quality on Vex’s songs is as good or better than anything on the radio. This makes sense given that several of his tracks have charted nationally. Especially refreshing is what a great singer Vex is. Most modern song vocals are heavily processed and autotuned to the point of drowning out anything organic from the sound. Belle’s voice on these recordings has only subtle and minimal effects. Belle was born in New Bedford, MA and learned to play the cello as a child. His musical talent is evident in his music as an adult. Give him a listen for yourself. Sometimes, an artist deserves a few points just for having a clever name alone. That’s kind of how I feel about rapper “Montey Kaloh.” His new single “My Wings” is pretty catchy though in it’s own right. “You can have anything, but you cannot have my wings” is repeated enough times, that it’s sure to stick with you after the song. My favorite portion though was the synthy intro, which had a late 70′s early 80′s electronic, sci-fi vibe. It was a good choice to start the jam. Take a gamble and give Montey Kaloh a listen.